Make sure your peaches are ripe but still fairly firm. 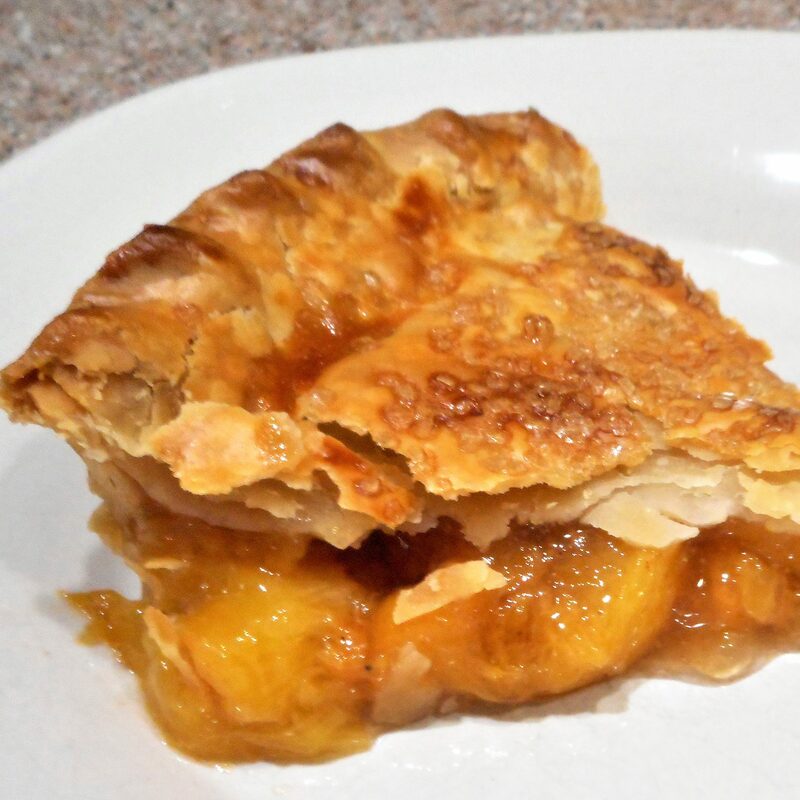 Brushing the bottom crust of fruit pies with egg white will keep them from getting soggy. 2. 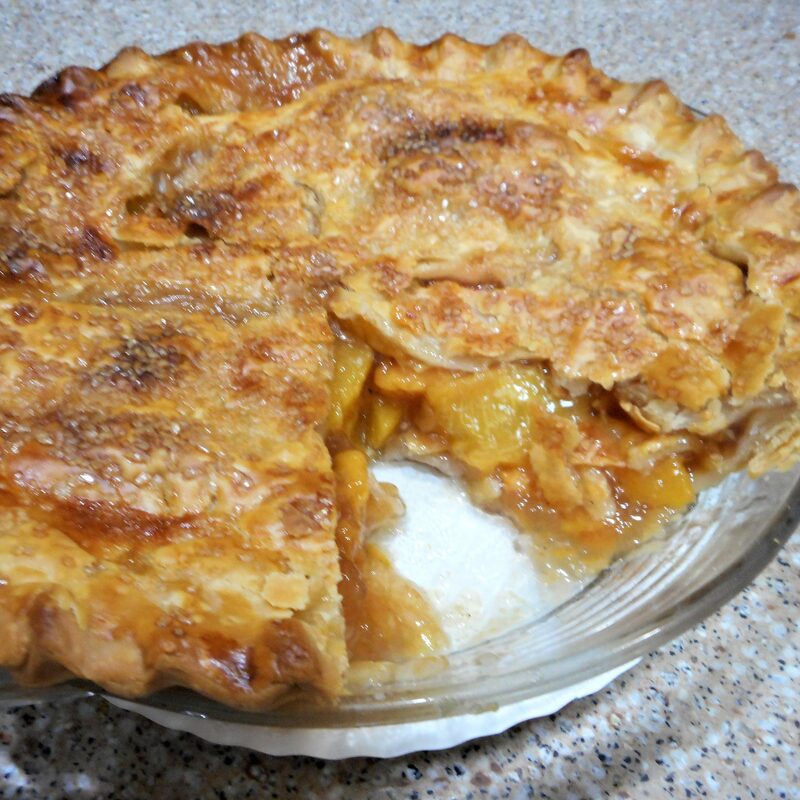 Gently fit one of the pie crusts into a 9 inch pie pan, allowing the crust to overlap the edges. Brush the crust generously with the egg white. Not all of the egg white will be needed, but reserve the rest. 3. In a large bowl, toss together the peaches and remaining ingredients except the butter and milk. Slide the peach filling into the bottom crust and dot with the butter. 4. Center the remaining crust over the filling. Trim the over-hanging crusts to about one inch, then fold under and crimp the edges. Cut several slits in the top crust. 5. Beat together the remaining egg white and milk and brush over the top crust. If desired, sprinkle the crust with additional sugar. 6. Place the pie on a foil lined baking sheet and bake for 30 minutes then check the crust for color. If the edges of the crust are beginning to darken, cover the outer edges with foil, leaving the center exposed. Continue to bake another 30 minutes, or until the top is golden brown and juices are thick and bubbly. 7. Allow to cool before slicing. I know, that’s hard, but you can wait; it’s worth it!